The GMF-UK Chaplaincy is fortunate to have many local preachers actively preaching in many circuits. This series of interviews is intended to find their experiences, views and suggestions. 1. Share with us what prompted your call to preach. The story begins from when I was about four or five. My younger brother got seriously ill and despite all the hospital attention he would not get well. My father happened to be a good Christian in his youthful days but at this point in time he had become a complete unbeliever and in fact had turned to fetish belief. To complicate matters, a fetish priest happened to be a tenant in our compound house and my father turned to him for help. The fetish priest couldn’t help and my younger brother was pronounced dead. While he was being prepared for burial, a stranger who was visiting another tenant decided to find out about the wailing of the women. When he was told what had happened he decided to probe further and probably notice he may have just slipped into a coma. 2. What is your favourite hymn and why? I’ll praise my maker while I have breath. It speaks to me about my calling. 3. Who is your favourite character in the Bible and why? Naaman, because all characters linked to him have something to share with every congregation. 4. Are you a traditional/contemporary or mixture? 5. When did you last preach in the GMF service or event? 6. Any suggestion for the GMF in the area of preaching? 7. What advice/suggestions do you have for preachers on note/trial or others considering the call to preach? They must learn to listen carefully to other people in their training and elsewhere. That is the best way to learn. 8. Where and what was the thrust of your last preaching? My last preaching was at Peckham Methodist church and the message was on the fact of the speaking community instituted by God through Adam and Eve, fractured by Satan’s treachery in the garden, broken at the tower of Babel, was restored on the day of Pentecost when we could communicate to one another and to God. 9. What should be done about the falling church attendance in the UK? 10. Apart from the pulpit, where or how do you share the word of God? Leading exemplary life to reflect the Christian way of life. 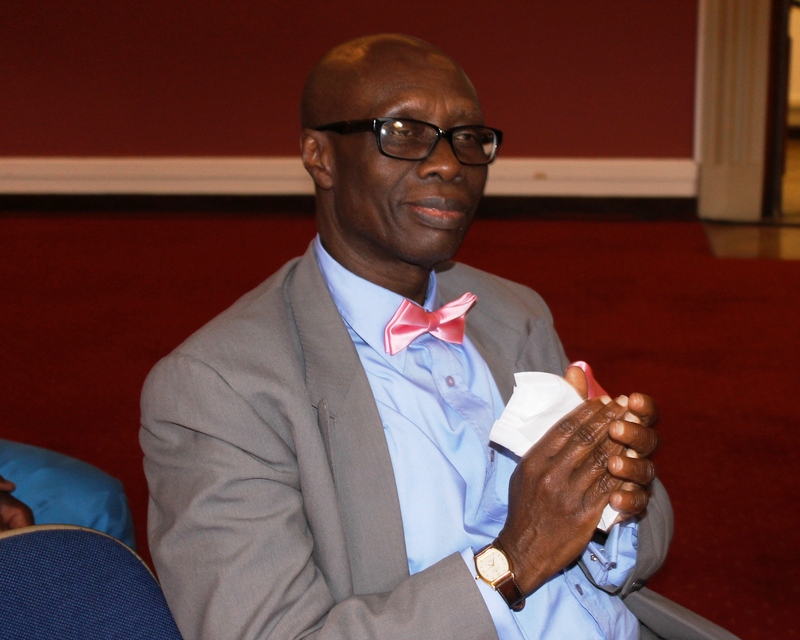 Kwabena Ofori Mensah received his accreditation as a Methodist Local Preacher in March 2010. He preaches in Southwark & Deptford Circuit.